The ability for music to communicate Biblical truth has been a part of the Christian life long before David picked up his harp. 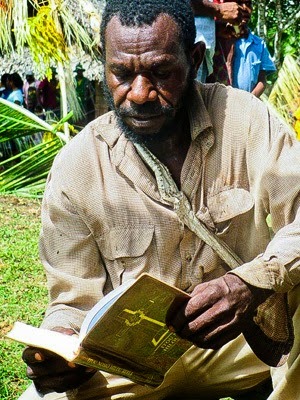 Now, in the Gwahatike language group in the Madang province of Papua New Guinea, Digisarimo works hard to translate hymns and write songs that communicate deeply with his people. “I am not one of the translators, but God translated,” he explained. One of the hallmarks of cooking here in Papua New Guinea is that we make everything from scratch—including some of the ingredients. For the most part, this has made gluten-free living rather easy (compared to in the US), because here, I know everything that goes into a recipe. However, it does take the “pioneer woman” aspect one step further...because here, I also grind my own rice and corn flour! First you start with rice. Lots and lots of rice. Then comes the WhisperMill. Don't forget to tighten that lid--or flour will fly everywhere! I'm grateful that I was able to find a mill here, and that our tech repair guys were able to get it working for me! Lots of rice flour! But, it's important to mix the rice flour with tapioca starch, potato starch, and cornstarch to make a usable flour for baking. I've baked lots of things here--from bread loaves to pizza dough to 'Nilla wafers like these! The other day, I received an email from one of my friends, who also happens to coordinate many of the courses at our Training Centre. "Come out and visit with some of the participants at teatime today," he urged. "They have some fascinating stories!" Not needing to be asked twice, I grabbed my recorder and notebook and charged down the shortcut that leads from my house through the gardens, up to the Training Centre. (I had forgotten that it had rained that morning and the shortcut was entirely full of mud...but that's why we have water taps outside buildings...for washing feet!) I had a marvelous time visiting with the many students who were in a variety of courses, including back translation, alphabet design, and computer software--so much, that I had to come back and visit over lunch too! Here's a glimpse of some of the fascinating people that I get to talk to every day! 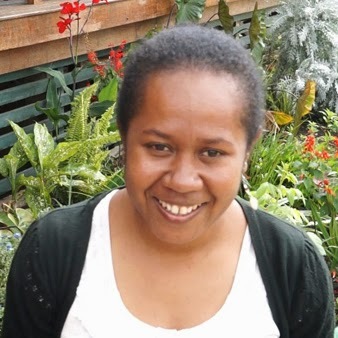 “I will be a part of this Bible translation work until I die.” Gariai has been working on translation and literacy in the Kunimaipa language since the early 1980s. Still, he is eager to keep learning, and this year is participating in a two-week Back Translation workshop held at the Ukarumpa Training Centre. Thirteen participants from five languages around Papua New Guinea are learning how to create high-quality back translations so their drafts of newly translated Scriptures can be easily checked by outside consultants for accuracy, naturalness, and clarity. This is an important step before the translated Scriptures can be typeset and published.